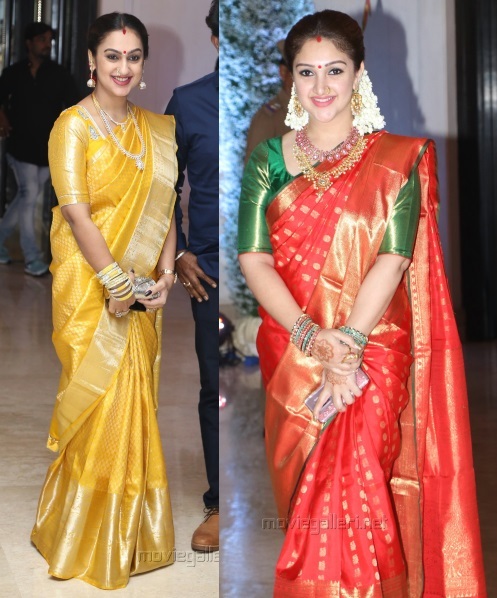 Opting for saris at Soundarya and Vishagan’s wedding (and reception) were these ladies. Have a favorite. P.S. 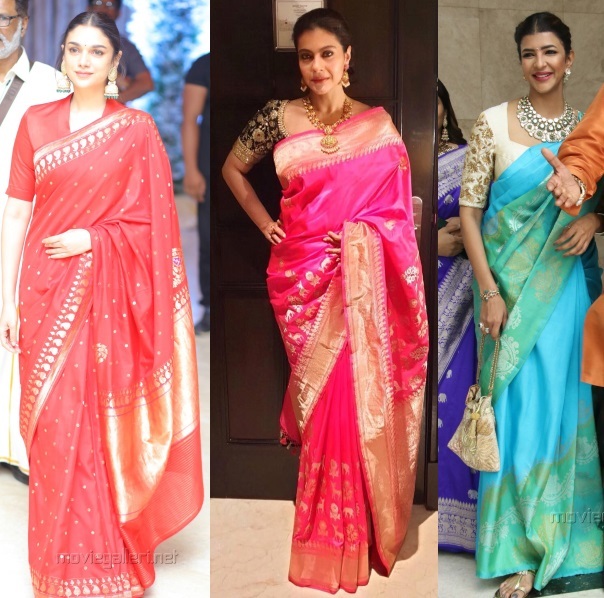 Kajol’s pic is from the reception and she is wearing Coloroso. Lakshmi is wearing her Mom’s sari. 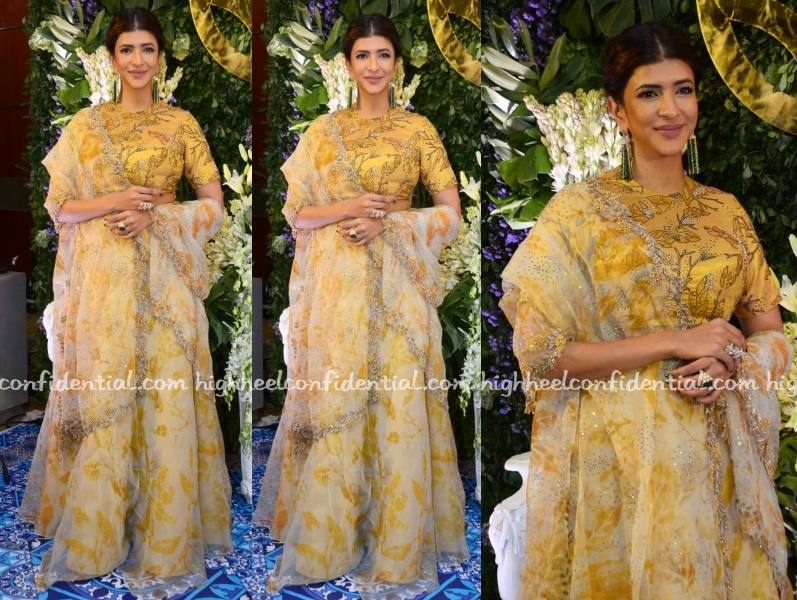 At the Teach for Change event, Lakshmi was seen in Anamika Khanna separates paired with a necklace by Lara Morakhia. Having seen some recent Anamikas that we haven’t quite liked, this ivory one made for a refreshing change. She looked nice. Lakshmi attended Saina and Kashyap’s wedding reception wearing a lehenga by Diya Rajvvir. Having covered quite a few receptions over the past few weeks, some that just seemed variations of others, hers sure made for nice welcome change of something different. She looked nice. 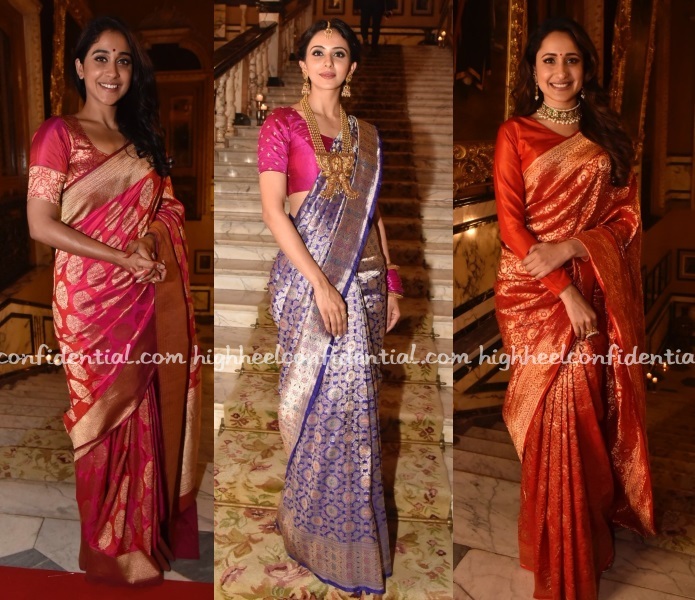 A bevy of leading ladies took part in the Teach For Change fashion show on Thursday evening with most wearing the finest of Benarasi saris. While some were more dressed up than others (keep in mind, it was a fashion show), it was lovely to see them in saris. Are you gravitating to any one in particular?